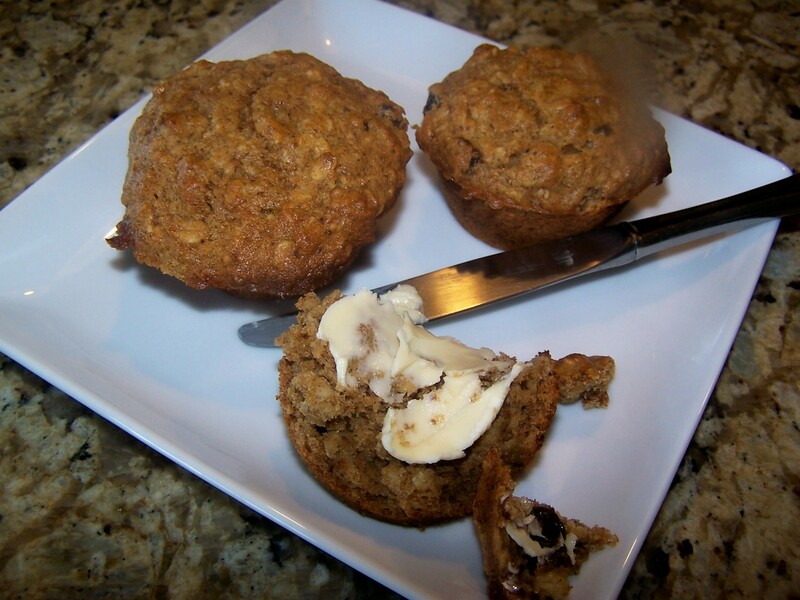 YUMMY OATMEAL AND BANANA NUT MUFFINS!!!! If I do say so my self these are the best muffins I have ever tasted! They satisfy my craving for delicious muffins they are sweeter than most of my baked goods and remind me a bit of old fashioned oatmeal cookies. Great with a cup of hot tea and spread with a little vegan earth balance buttery spread. Enjoy!!!! Mix dry ingredients together in a large heavy bowl. Add banana, rice syrup, coconut oil and vanilla. Slowly add soymilk and vinegar stirring until just smooth. Fold in raisins and nuts and scoop into prepared muffin pans. Bake at 350 for 25 minutes.